This post was originally published on Tech & Social Change Baltimore and is written by Kate Bladow. In March Ryan Ozimek, CEO of PICnet presented to Tech & Social Change Baltimore. He talked about customer relationship management (CRM), shared a little about the common CRMs nonprofits are using, and discussed what an organization needs to think about before deciding on and implementing a CRM. CRM stands for customer relationship management. In the nonprofit space, it's also called constituent relationship management. It's the process of managing your relationships with people and tracking what you know about them. A CRM can give you a 360 degree view of the people who interact with your organization. This is important data for your organization. A CRM can store and organize all of the information you have from email marketing, fundraising, social media, and other activities. How is it hosted? It could be on your local network or in the cloud. Each has pros and cons. For example, hosting the system on your local network means you are responsible for maintaining the server and updating the software. Alternatively, hosting the system in the cloud means you won't be responsible for maintaining the server, but you will have less control over your data. You need to have an exit strategy and understand the provider's privacy policies, security procedures, and data retention practices. How can you extend it? Most CRMs allow you to add extra features or customize the software for your organization. This might be through ready-made applications or hiring a software developer. You also want to know whether a user community exists. They'll be a vital source of information about who to work with. Is it built or customized for NPOs? You don't want to use a software package for businesses. Nonprofits have special needs, and you want something that is built or customized for the NPO sector. Can you integrate it with other services? 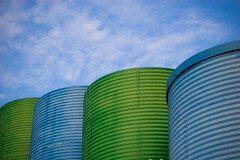 You don't want to create more data silos. Make certain the CRM you picked integrates with other services you use like email, donation processing, event registration, auction management, and volunteer management. Take inventory. Look at what data you already have and how you are collecting it. Think about your data needs. What data do you need to store? Think about all areas like fundraising, advocacy, volunteers, personnel, social media and communications, case management, grants, and so on. Identify a consultant. Implementing a CRM can be difficult if you haven't done it before. It's very helpful to hire an experienced consultant to work with. In fact, a Salesforce study found the biggest factor in a project's success was whether or not the organization had hired a consultant. Data migration can be very complicated and painful. Assess your options. A lot of options exist. The most popular ones in the NPO sector are Salesforce, SugarCRM, NetSuite, NationBuilder, Salsa, and CiviCRM. To learn more about the individual packages, check out Insights into CRM for Nonprofits or A Consumers Guide to Low-Cost Donor Management Systems. Groundswell was started in September 2011 "to combat the hate and build love in response to violence against Muslim and Sikh Americans." They "provide avenues for people of all faiths and walks of life to take strategic social action around shared moral imperatives." They had a website but needed tools to run multiple campaigns. The CRM's tools help them process a lot of data quickly. They collect contact information through the website, and it gets stored in the CRM. The website then pulls data from the CRM and displays it on a map to indicate where the messages are coming from. They started with about 20,000 supporters and reached 40,000 in about two months. By the end of the year, they had about 100,000 supporters and approximately 25,000 to 35,000 actions happening per month. A CRM is a major expense. Think of it as an investment, especially if you have a major capital campaign planned for the next three to five years. Ryan didn't have specific numbers, but he guessed that this project cost between $5,000 and $15,000. The organization had 20,000 supporters and focused on the business processes of fundraising and advocacy. It was probably about 100 hours of consulting as well as significant internal staff time. It is possible to break up projects into phases, so the project cost could be spread out over time. The deployment of a CRM can last from two to six months or beyond. Typically, a project lasts two to four months, although additional time is needed for each business process that the CRM covers. If you put garbage data into your CRM, you'll get garbage out. You need to put good data in to make your CRM useful. Ryan posted his slides online at SlideShare.